Rarely a day goes by without China being in the news. This fascinating country has experienced an incredible period of rapid economic growth (until very recently) and the world has sat up and taken much more notice of the politics, the culture and the language. Despite the growth in China over the past decade and its increased popularity as a travel destination, with people from all over the world flocking to visit The Great Wall, there is a vast divide between the regions in terms of development and wealth. 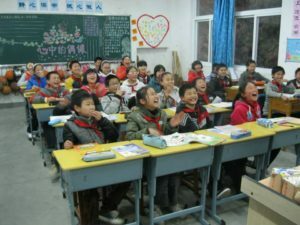 China therefore remains an incredibly important country from which to run one of our programs. There is so much to see, so much to learn and so much to invest as a volunteer organization, which one of our AVs has summarized brilliantly below. Our gap year projects and volunteer work opportunities in China begin in Hangzhou, regarded as China’s most beautiful city and located just 40 minutes from Shanghai by bullet train. Find out more about what you could experience during a gap year in China with AV!